Want to feed both your stomach and conscience today? Stop by Ginny’s Supper Club in Harlem. The soul food spot is holding an all day fundraiser to benefit families of Mother Emanuel AME Church in Charleston, SC. 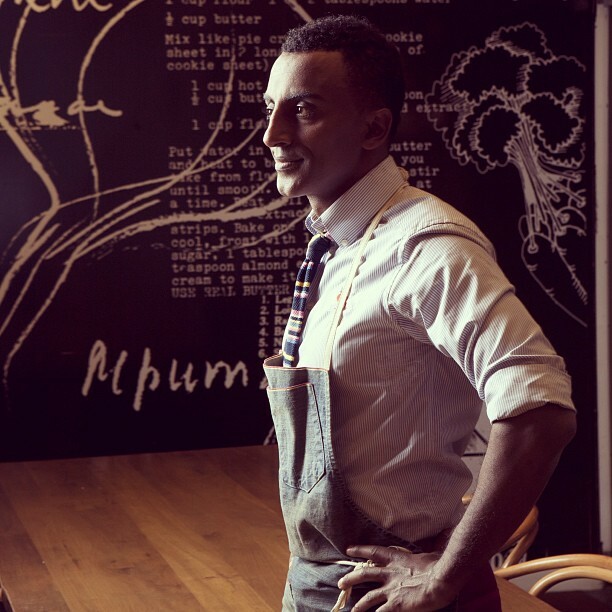 Famed chef Marcus Samuelsson, of Red Rooster Harlem, will be burning pots to make the Southern buffet ($30 minimum donation) lunch and three course dinner ($75 donation required) even more worthwhile. Reverend Calvin Butts of Abyssinian Baptist Church will team up with Reverend Michael Walrond of First Corinithian Baptist Church to host the fundraiser. And both church choirs will provide gospel music to eat with. CNN’s Don Lemon is also part of the fundraiser’s host committee. Money raised from the lunch and dinner will go to victims families of the Charleston church shooting.